How 2 Know Break is working r not??? How to Know Break is working or not??? Brakes are, of course, the most vital safety component of a car. And it is mandatory for your own security that you keep the brakes of your car in best condition. Break problems do not rise to a serious level suddenly. Most brake problems develop gradually and if the system is detected properly, these can be detected before they become serious. 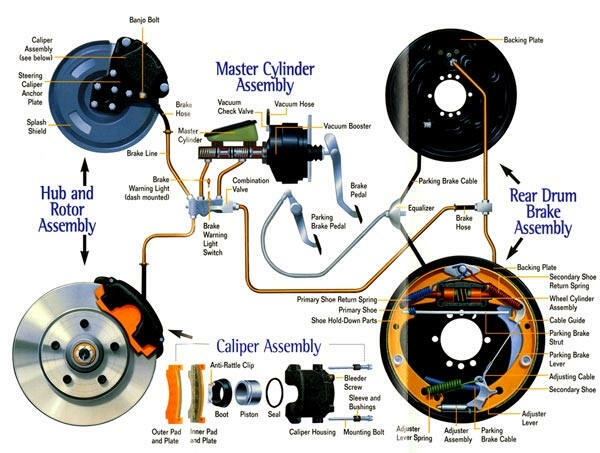 Driver of a car can tell if it has problems with its brakes. If it does have, it must immediately be taken to a technician. If the brake fluid level is low the system indicates it by glowing the brake light. You must get the brake fluid filled immediately. The oil level is decresing day by day. A soft or mushy brake pedal indicates that the brake fluid might be low. When press for brake,the paddle gets down.You will feel no pressure.